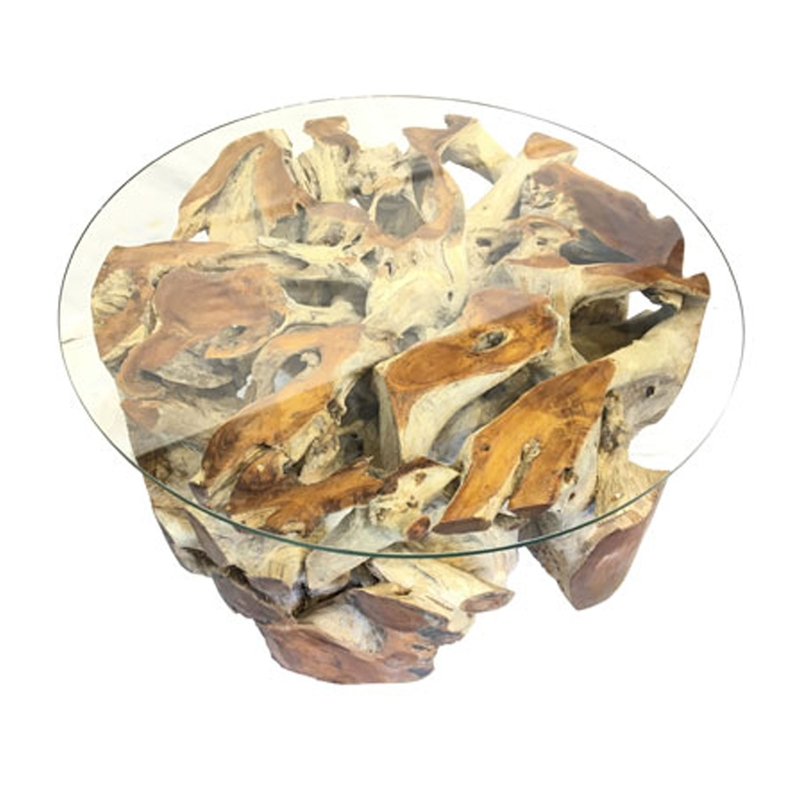 Welcoming the gorgeous Teak Root Coffee Table Spider Stone Round With Glass Large. This coffee table has a stunning spider stone designed base, created from teak root. This piece then has a circular glass surface that rests upon the base, combining to create a very original and interesting piece.